nettalk provide cost effective communication solutions to both business and residential customers using VOIP technology. ...what is VOIP? Talk is cheap with nettalk, you can make telephone calls to fixed and mobile phones nationally and internationally through your broadband internet connection and your existing analogue home telephones. 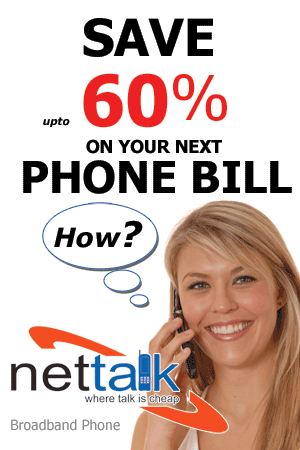 Find out how you can talk at ridiculously low prices 24/7 with Nettalk.